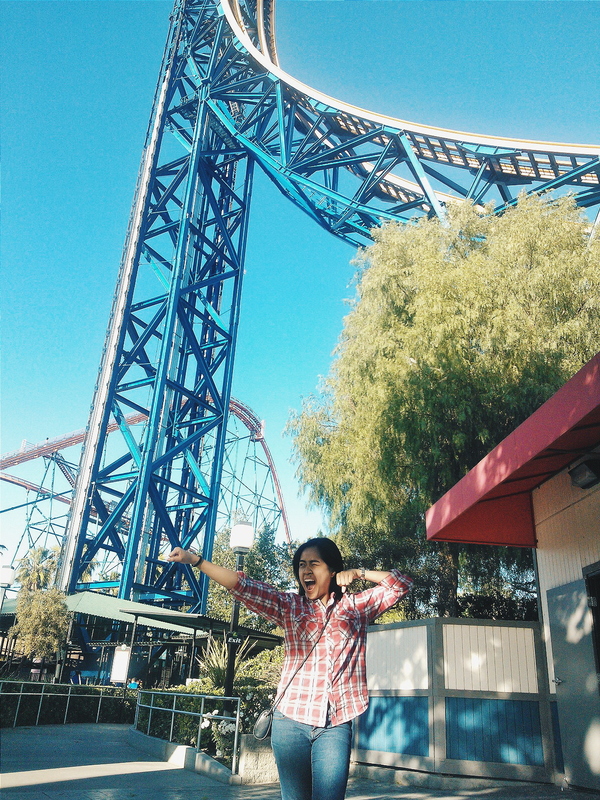 The most thrilling part of my TALAMazing adventure happened exactly five weeks ago, when I went to Six Flags Magic Mountain–for the very first time! 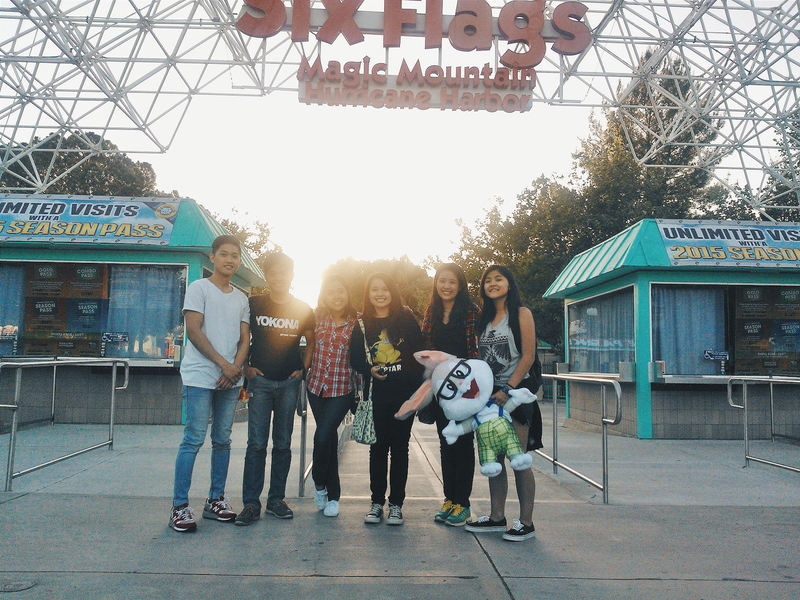 I first heard of Six Flags Magic Mountain through my childhood best friend, Deuel. He and I absolutely loved roller coasters! After he let me watch his DVD about Six Flags, I knew I had to go there. So when my cousin, Jared, invited me to celebrate his 21st birthday there last April, I did not hesitate! 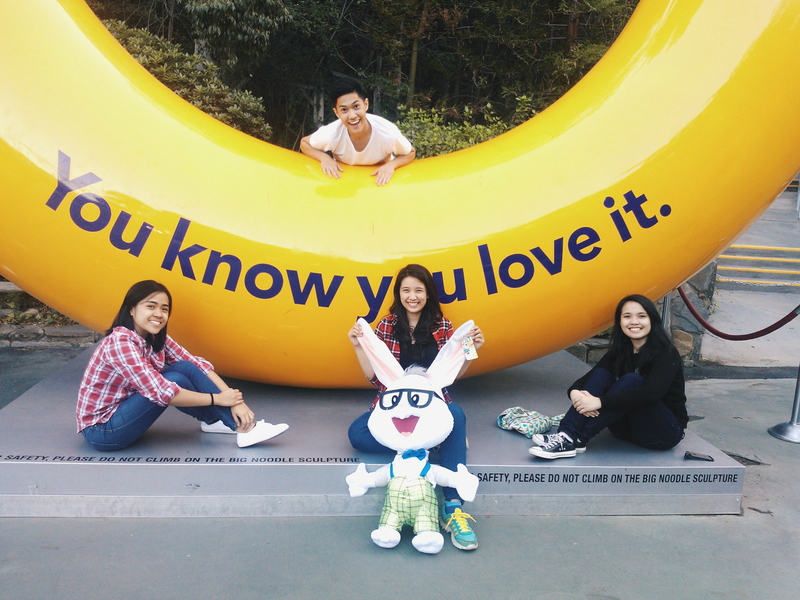 When we got out of Revolution, one of our friends, Sheliz, encouraged all of us to ride Tatsu next. When the ride started, I prayed and kept muttering “oh my God” while at the same time expecting that I’ll have the best time of my life. About five seconds after lift off, the ride zoomed, and all I can remember was me screaming like crazy with eyes half shut. Two minutes after the ride, I was so eager to do it all again. I knew Tatsu wasn’t the craziest ride there. 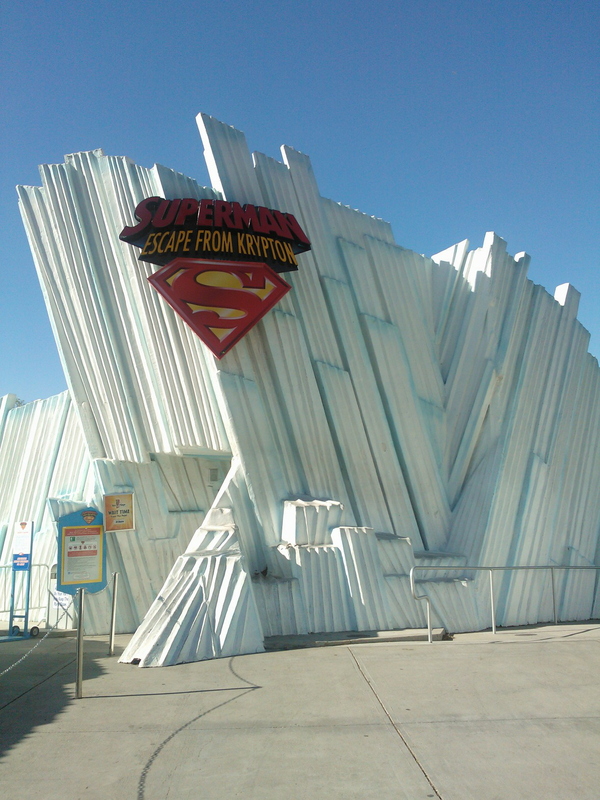 Unfortunately due to time constraints, I wasn’t able to ride all the thrill rides, but I rode the ride that stuck in my head when I first learned about Magic Mountain seven years ago: Superman. 13 wannabe superheroes were shot up 415 feet at 100 miles per hour–in reverse. I wasn’t so sure if Lois Lane had the same experience, but as for me, it was exhilarating! 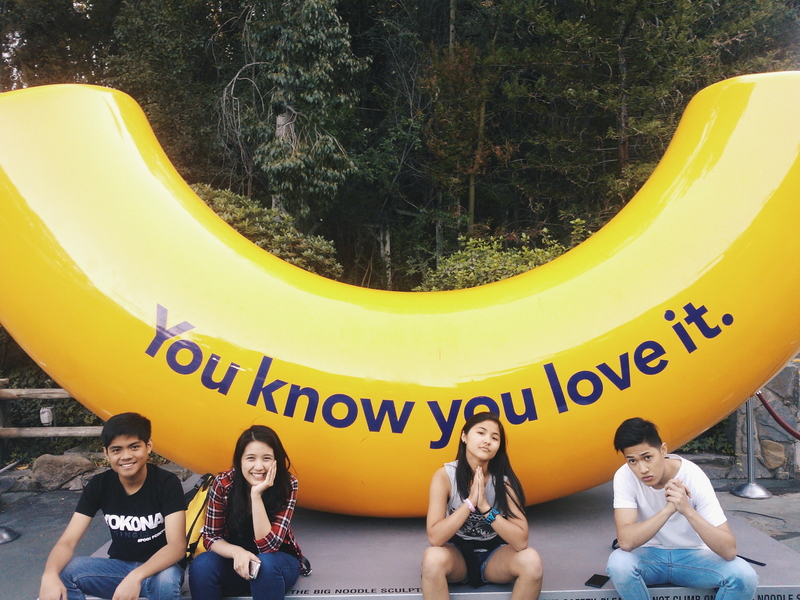 Out of all the rides I tried that day, it was the most surprising. While we were talking, the ride suddenly accelerated from 0 mph to 100 mph!! We were even faster than the allowed speed limit on the freeway! I felt as if my heart left the ground. When the ride finally reached the top, it stopped for about 3 seconds, then zoomed back down! Clearly there was no kryptonite around. Surprisingly, when we got back to the base, I felt really good and bitin (the ride could have been more thrilling, perhaps if it was longer). 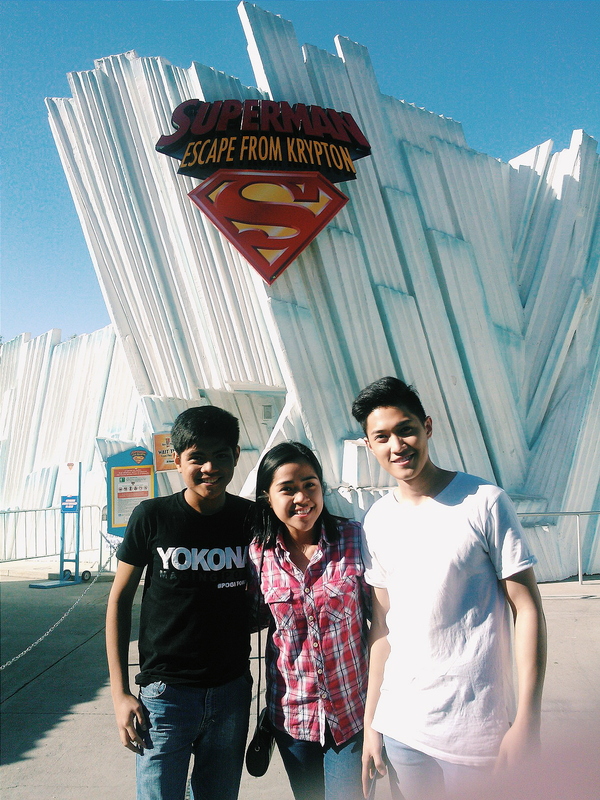 Nonetheless, after the ride, I was so proud of myself for conquering Superman! 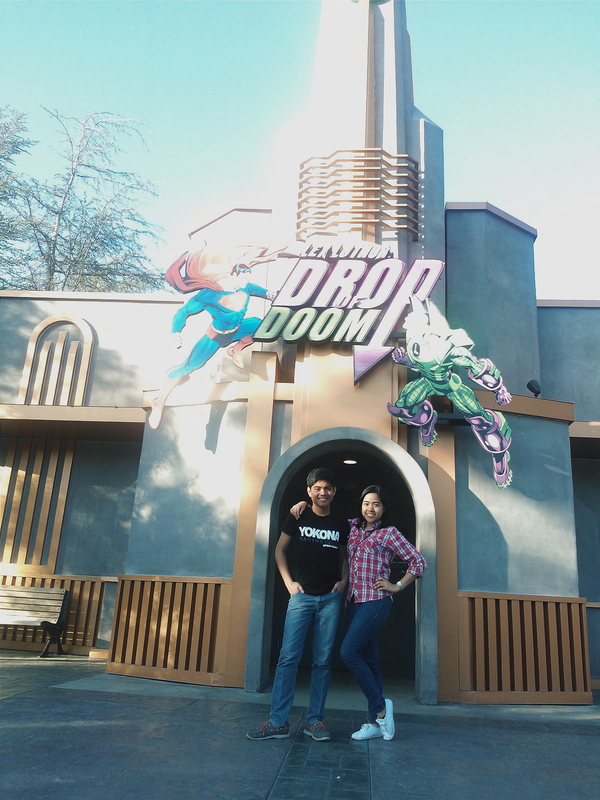 Before closing time, my cousin pushed us all to go on the ride beside Superman–Lex Luthor’s Drop of Doom! 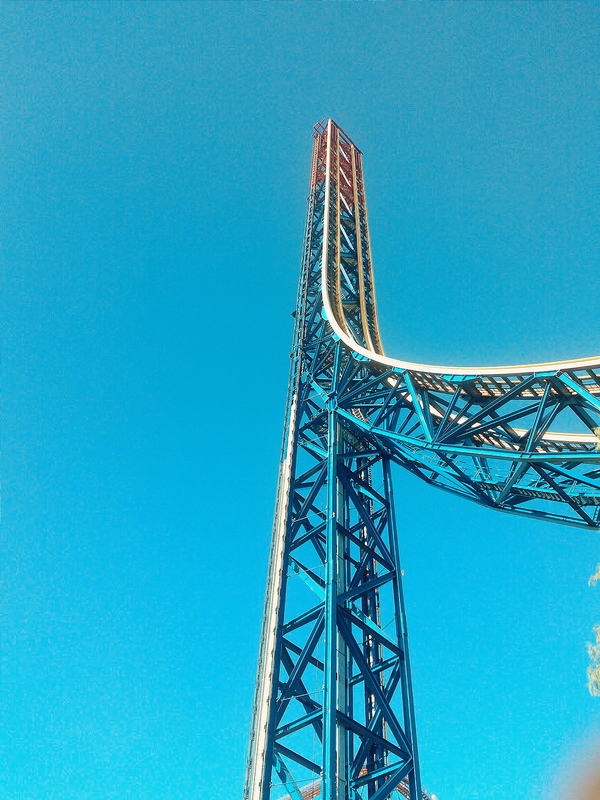 The ride to the top was the longest 90 seconds of my life. An up-and-down drop kind of ride thrills me even more than loops because of the butterflies it produces in my stomach–about 10,000o of them!! After blast off, Luthor’s steel engines gradually lifted us up, up, up, up….waaay up. If I wasn’t so scared, I would have admired the gorgeous view of Valencia, California, but as the name of the ride, suggested , I prepared myself to face my doom. When we got to the top, the ride stopped, allowing us to enjoy the scene. I think my friends enjoyed the view–I was too busy closing my eyes and taking deep breaths–then ZOOOOM! We went down 400 feet at 85 mph!! Days after our Magic Mountain experience, the thrill died down and I reflected on what I went through. Here’s what I realized: Faith plays a major role in our daily lives. Without faith, we won’t be able to really live because we’ll doubt everything! You’d always think twice: whether you should sit on your chair or not, eat the burger you bought from McDonald’s, drive your car, and so on. It takes a whole lot of faith to ride on a roller coaster. I remember asking my friends repeatedly throughout our trip: “Are these seat belts really fastened? Is this safe? Has anyone died from riding this ride?” When I lined up for the rides and took my seat, I placed my faith on the guys who built the ride, the screws, bars, and all the materials they used to build it, and the word of the crew that I was going to have one heck of a ride! My faith is only as strong as its object, and seeing the rides and reading about it, I figured, the steel supporting me were pretty sturdy. Having a personal and intimate relationship with Jesus is very much like riding a roller coaster. You get nervous because you know there are so many exciting things to expect–both positive and negative–but you also know that this ride is going to be worth it. So worth it. He promised you: “I have loved you with an everlasting love. (Jeremiah 31:3) I will never leave you or forsake you! (Hebrews 13:5) If you believe in the LORD Jesus, you will be saved. You will not perish, but have eternal life (John 3:16).” You have all these promises (and more), and then you trust that He will take care of you. Your faith is as strong as its object–the King of Kings and sovereign Creator of the universe. When you decided you’d take the ride, you hop on, fasten your seat belt, and wait to see what He will do. In the nine years that I’ve been on this ride with Jesus, there are ups and downs–times of joy, times of grief, and times of just…meh. Even if I’ve been a Christian for a long time, God still invites me to take the plunge because as I advance, God places me in “more thrilling” rides, so to speak, that would require me to take another leap of faith. Sometimes God will take you places or allow you to undergo circumstances wherein you feel like you’re too inexperienced to face. Well guess what? That experience is training in itself! He wants you to exercise faith in Him through your obedience. Abraham did not have experience killing kids when God commanded Him to offer Isaac. I believe experience is not the best teacher; God is. Are you experiencing difficulty right now? Do you feel as if God is making you ride a roller coaster with deep plunges and countless loops and you feel like backing out? Don’t worry! Jesus is beside you in this ride. He promised not only to help you, but to actually be with you (Joshua 1:9). To hold your hand (Isaiah 41:13). To never give up on you (Hosea 11:8). Above all, to love you forever and ever. So once you’re on a ride, buckle up, take a deep breath filled with overflowing faith, and take the plunge! Author Jenny J. TalamPosted on 22 May 2015 22 May 2015 Categories TALAMazing Adventure, TravelTags 2015, adventure, Faith, God, grace, Jenny J. Talam, Jesus Christ, lessons, Magic Mountain, roller coaster, Six Flags, Six Flags Magic Mountain, Superman, TALAMazing adventureLeave a comment on Take The Plunge! Hey there! I'm Jenny. Thanks for dropping by! I hope that whatever you find and read here will encourage, engage, or even convict you and do you spiritual good. Join me as I discover how God's ancient truth applies to our modern, millennial lives!